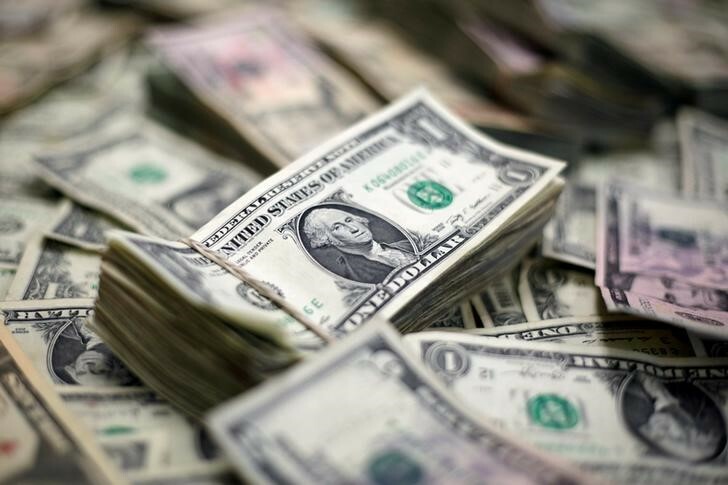 NEW YORK (Reuters) – U.S.-based money market funds posted $51 billion of net outflows for the week ended Wednesday, the largest cash withdrawal since 2011 and the seventh largest ever, according to Lipper data on Thursday. The drawdown in money fund assets, which companies use as alternatives to bank accounts to manage their cash, likely stemmed from two factors: corporate tax receipts and investor payment on Treasury supply, said Pat Keon, senior research analyst at Thomson Reuters Lipper. Last week, corporations were sending cash to the government ahead of a quarterly tax deadline. On June 15, the Treasury said it received $26.0 billion in corporate taxes, compared with $42.2 billion a year earlier. Moreover, the Treasury raised about $43 billion in new cash as investors settled on what they bought at last week’s Treasury auctions, which included $68 billion worth of three-year, 10-year and 30-year debt. Meanwhile, U.S.-based equity funds posted $1.27 billion of net outflows in the week ended Wednesday, marking the third consecutive week of cash withdrawals, Lipper said. The majority of those outflows came from U.S.-based equity exchange-traded funds, which posted net outflows of $5.8 billion. Conversely, U.S.-based equity mutual funds attracted $4.6 billion of net new cash for the same period, according to Lipper. Emerging-market funds saw another volatile week. Investors pulled $4.36 billion of net cash from U.S.-based emerging market equity funds and $452 million from U.S.-based emerging market debt funds, according to Lipper data.